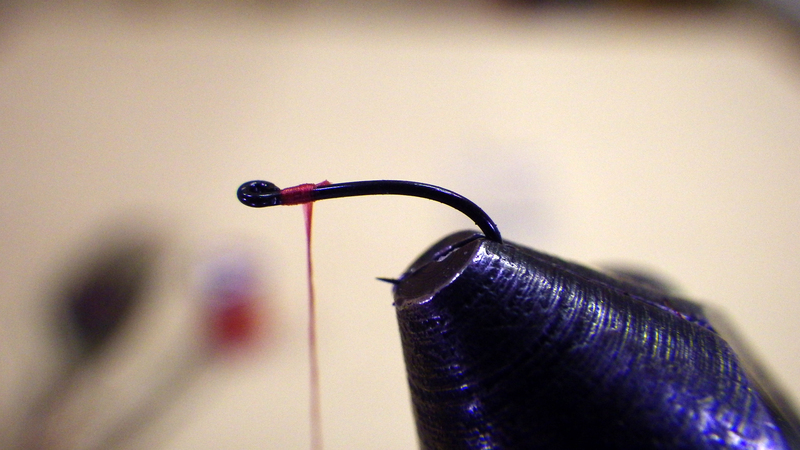 Step 1: It is very important that you start your thread close to the eye of the hook and short. any lump in this fly is really obvious. 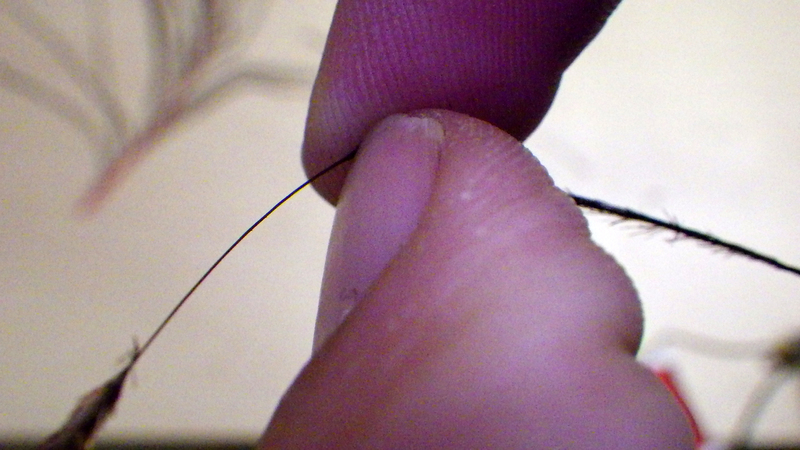 Step 2: Tie in the wire. 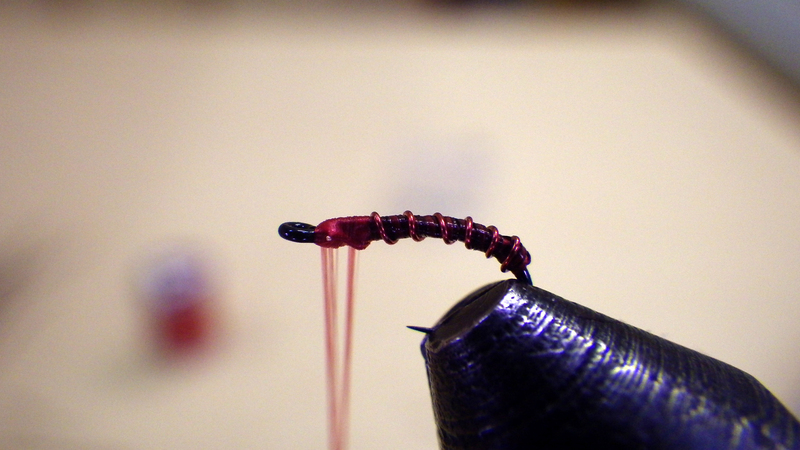 Start precisely where your last thread wrap is. 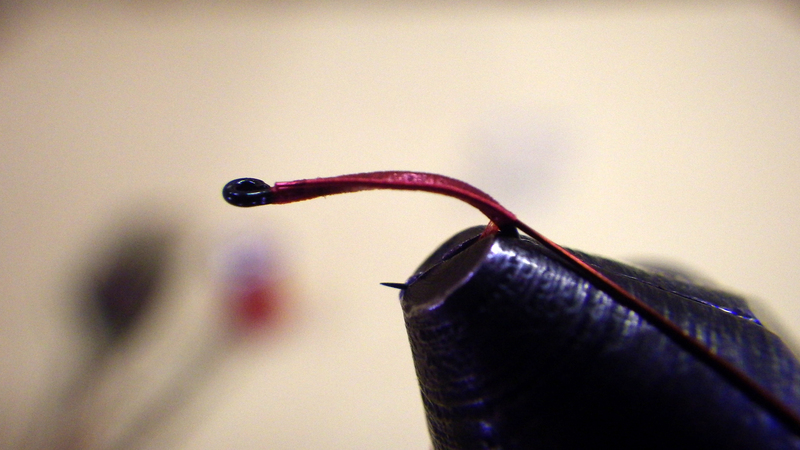 Make sure your wire ends near the eye, the head of the fly is the only place where there is a little room for error. 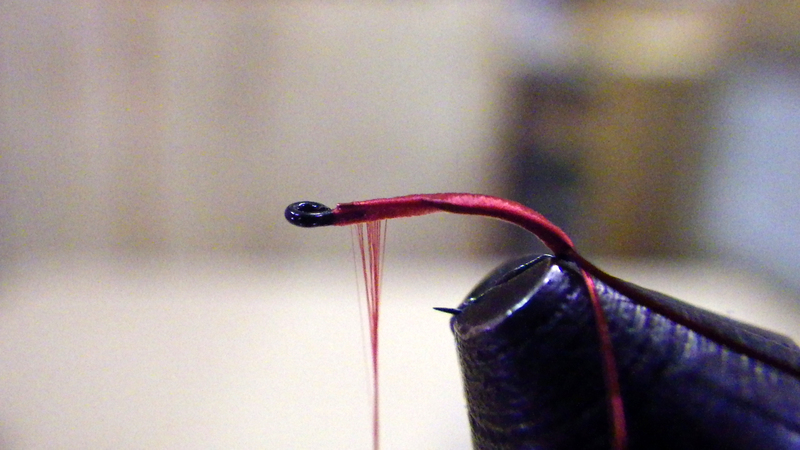 Step 3: Wrap thread back and keep it in the rear position. This is the part where you strip some peacock hurl (Plumule?). Just pinch between your thumb and forefinger and pull. Sometimes it will break in the process, but they are long enough to do it again in a lower position. Tie it in at the rear of the fly and wrap the thread forward. 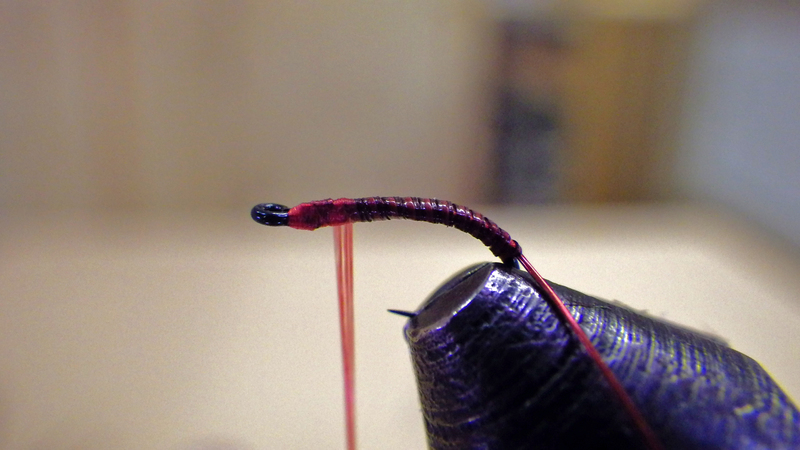 Do not do the typical three wraps and tie forward, this will create an unforgiving lump in the rear of the fly. Step 4: Wrap peacock forward and tie it in. Using hackle pliers will more than likely break the peacock (Note: I am dodging the term quill). Use your fingers with a light touch. It takes a while to get the feel, but the end product is better. 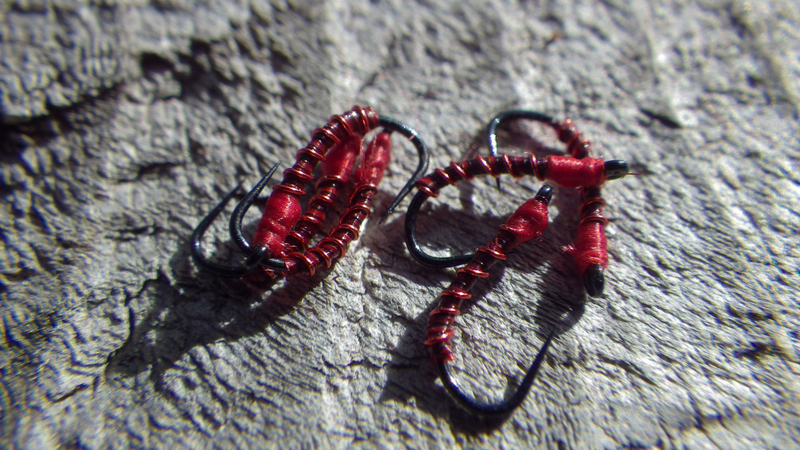 If you start with a couple wraps a bit loose (yet still tight to the hook), the rest will go easy. Step 5: First, I see now that I wrapped the peacock over the wire… So, that is going to bunch up a bit. Anyway, wrap the wire forward in the same direction. Trust me here, this works a lot better than counter-ribbing in this situation. I have found that it breaks less this way… Finish your wire on the opposing side you started it on and build the head as high as the wire. You can whip finish here, cover it with epoxy or do whatever you want at this point. It is done. I only whip finish, no head cement. I like to keep it as slim and dull as possible.